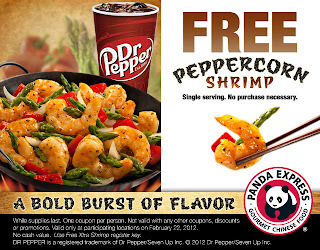 FREE Peppercorn Shrimp at Panda Express, No Purchase Necessary! Print out this coupon to score a completely FREE single serving of Peppercorn Shrimp at Panda Express! Expires 2/22/12.